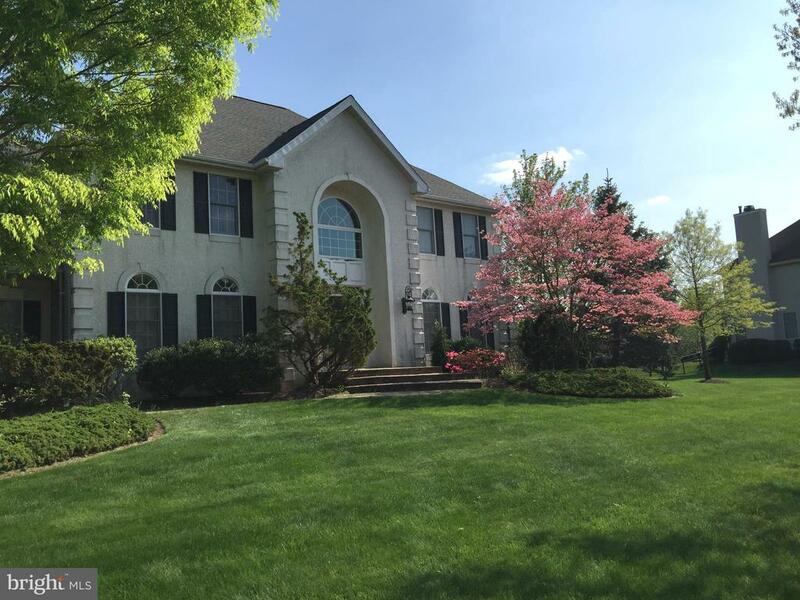 All Princeton Junction homes currently listed for sale in Princeton Junction as of 04/20/2019 are shown below. You can change the search criteria at any time by pressing the 'Change Search' button below. If you have any questions or you would like more information about any Princeton Junction homes for sale or other Princeton Junction real estate, please contact us and one of our knowledgeable Princeton Junction REALTORS® would be pleased to assist you. 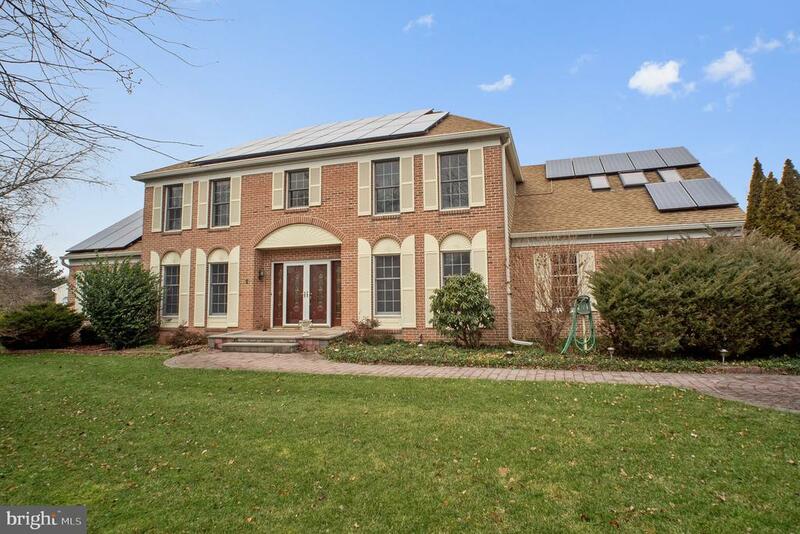 "Come see this custom built home in the Princeton Junction section of West Windsor. As you enter this home you find a beautiful entry hall with cathedral ceiling. There are 4 bedrooms total, one on the first floor which is currently being used as a studio. Formal dining room and living room with crown moulding. Family room and Sunroom are both very spacious. The kitchen is amazing with easy access to the breakfast nook and the formal living dining room. Gorgeous imperial style double staircase offering access to stairs from seperate sides of the home. Finished basement. Central vacuum system makes it easier to keep the house clean. Paver patio has ample space for entertaining large gatherings. Solar panels generate plenty of power for your home - Live green and save money. Train station is nearby." "BEYOND SPECTACULAR BEST DESCRIBES THIS STUNNINGLY REMODELED AND EXPANDED HOME! The owners have spent more on transforming this home into what it is today than what they paid when they bought it. Every room and system in this home has been improved and redone, with the most Spectacular being the Expanded and Remodeled Kitchen with Walls of Windows, Skylights, Heated Tile Floors, Custom Cabinetry, Wolf Appliances, Double Ovens, Double Sinks, Warming Drawer, Miele Dishwasher, Recessed Lights and Two Custom Decks overlooking the Wooded Private Backyard. No cost was spared in creating this One Of A Kind Kitchen! .Your family and friends will not want to leave this kitchen, except of course, to go into the two story light filled Family Room with Stone Fireplace and Skylights that leads to a spacious office and onto the Grand Conservatory with its Walls of Windows. The Laundry Room too was expanded and remodeled with the same materials as the kitchen and a separate entrance was added. On the second floor the Master Bedroom and Bathroom were transformed and enlarged into a luxurious retreat. The Master Bathroom Extension now offers a round Jacuzzi Tub, an extremely Over-Sized Shower with 12 Shower Heads, Heated Floors and Custom Cabinetry. The Walk-In Closet too was expanded and has Custom Shelving. There are an additional Four Bedrooms and Two Jack and Jill Bathrooms on the second floor. The impressive Finished Walk-Out Basement offers a large open Multi-Use Area, a Full Bathroom and a separate area that can easily be finished into a bedroom because it has the large over-sized windows. There is a separate Patio outside the basement. Numerous other upgrades include a Redone Garage, Commercial Water heating System, 3 Zone Heat and Air, Newer Roof (2008), Fenced Property, Fully Landscaped with Sprinkler System, Freshly Painted and so much more. 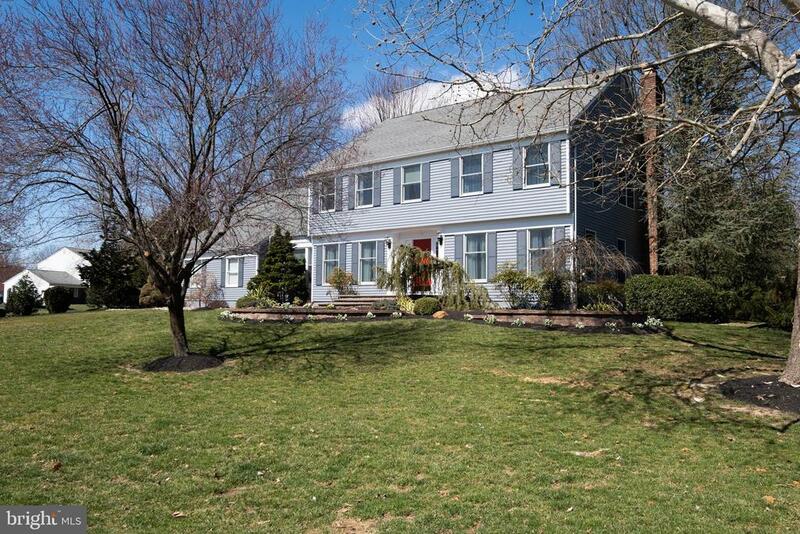 West Windsor Plainsboro Schools, Princeton Jct Train Station, Mercer County Park and much more! Beyond Spectacular does not even b"
"Home has just had a total makeover. Freshly painted, exterior and patio power washed. Magnificent brick front expanded St. Andrews model on an extra large premium lot of Fengshui master's choice. Lush landscaping welcomes you to the covered front stoop. Grand two story foyer with beautiful staircase. Spacious study on the quiet side of the house can be an in-home office. Open living room and dining room creates an open flow for entertaining. Gourmet kitchen has beautiful terracotta tile floor, cherry cabinetry, granite center island, pantry and a dining area with sliding doors to the side of the house. Sun drenched FR has gas fireplace; cathedral ceiling has two skylights. French doors open to expanded sun room with cathedral ceiling and skylights. On the far end of the house, the in-law suite has it's own bathroom and separate door to the side yard. Game room over the garage has one full bath, it can also be an apartment. Master bedroom suite has tray ceiling and recessed lights, it also has a sitting room and huge walk-in closet. Luxurious bathroom has whirlpool and double vanities. Jack and Jill suite and Princess Suite for the princess of the family. Hardwood floors in most of the house. Four zoned heating/cooling. Paver patio and Anthony Sylvan in-ground pool, ready for the summer? 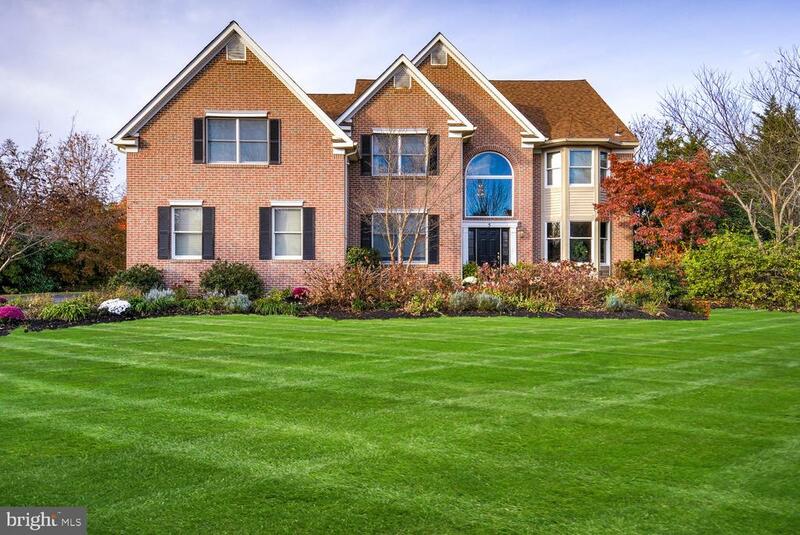 Underground sprinkler system keeps your lawn green and lush. Recent makeover gives this beautiful home a fresh new look." "Welcome Home! 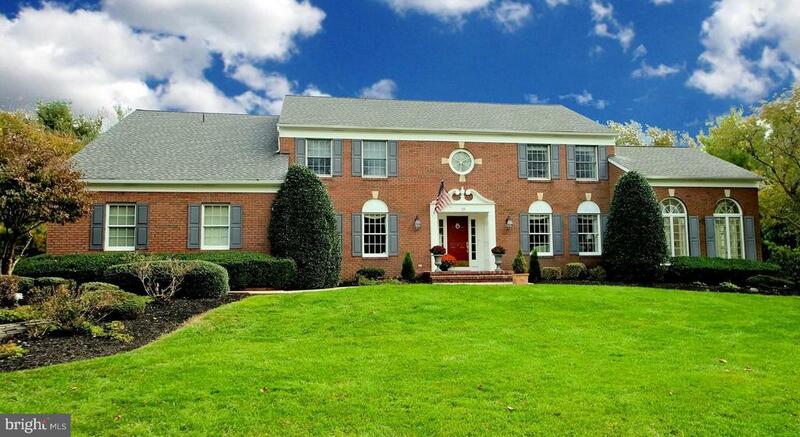 Perfectly located extraordinary 4,300 sq ft Brick Colonial in Brookline Estates set on beautifully situated .75 acre lot. 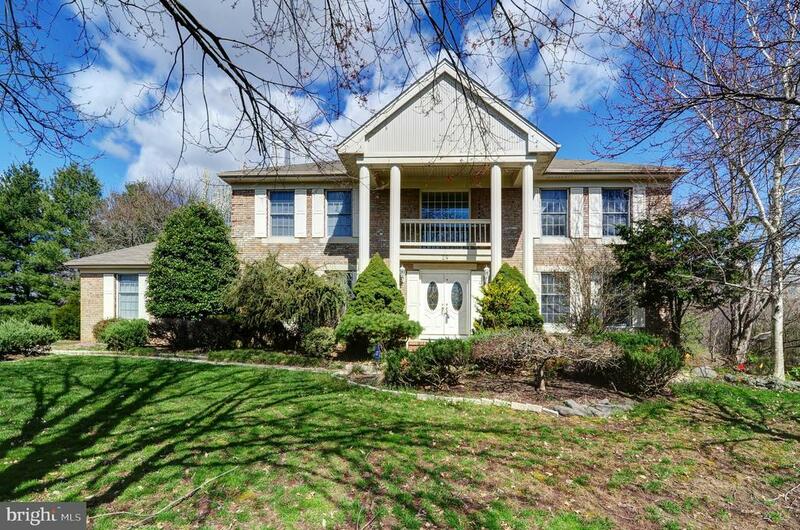 Home boasts paved driveway leading into fully fenced yard w/ views of Zaitz's Park, 5 beds 3.5 baths & a 3 car garage. Home owners (original buyers) specifically designed space to blend classic & modern design w/ many principles of Feng Shui. From Koi pond, stone fountain & natural stone patio to mahogany trim & high ceilings throughout home, this house feels and functions as good as it looks. 1st FL of home consists of an elegant foyer & gourmet kitchen floored w/ ravishing travertine. Bright open kitchen includes all bells & whistles such as high end stainless steal appliances, large windows allowing light at all times & access to backyard. Open kitchen to living room & sun room & allows easy access to formal living & dining rooms. Living room has vaulted ceiling, custom shelving, hardwood floors, moldings, marble facade gas fireplace, & graceful entry way to the terra-cotta tiled fully windowed sun room. Formal dining room opens to formal living room which incorporates a large bay window. Also found on 1st FL is an office w/ custom desk/shelving/storage, a half bath, & laundry/mud room (whirlpool washer/dryer) that leads into garage. 2nd FL holds 4 beds & 3 baths. Hallway has a charming oversized cutout trimmed in mahogany looking down into living room. Oversized master bedroom includes vaulted ceilings, hardwood floors, sitting room, ensuite bath & walk-in closet. Master bath posses peaceful feel as taupe marble blends perfectly w/ white cabinetry. Come home & relax in oversized jacuzzi or enjoy a steam in stall shower which includes a handheld & fixed shower heads. 2nd bedroom sports vaulted ceilings, hardwood floors, a wall of custom desk/storage/shelving, a walk in closet and a jack & jill bath. Travertine tiled bath includes a shower stall showing off delicate glass tile mosaic. This bath gives direct access the 3rd bedroom." "North facing, majestic expanded Turnbury model with Sun Room and gorgeous paver patio in Crown Pointe. Paver walkway and paver front stoop welcomes you to this 4,203 sq ft home. Sweeping circular staircase makes an impressive statement in the open foyer. Formal living room flows into a delightful sunroom which has a cathedral ceiling. Entertainment sized formal dining room has a butler's pantry and wine rack connecting to the gourmet eat-in kitchen. Upgraded cabinetry and center island, walk-in pantry makes cooking a delight. Breakfast area opens to a large paver patio with garden walls. Master bedroom has a tray ceiling and a sitting room, luxurious master bathroom and a huge walk-in closet. Jack and Jill suite is ideal for a growing family. Princess Suite has it's private bathroom, fit for the princess of the family. Beautiful backyard. Brand new cooktop and retractable downdraft vent. Wall oven, microwave and dishwasher were replaced in 2018." "COMPLETELY REBUILT FROM THE GROUND UP IN 2006, THIS SIX BEDROOM, 4.5 BATHROOM HOME IS UNLIKE ANY OTHER! Owners spared no cost in rebuilding this home which offers a GOURMET KITCHEN with marble floors, granite counters, two full size refrigerators, two stoves and ovens, both gas and electric, and an abundance of cabinets and counter space! Being open to the light filled Expansive Family Room makes this space perfect for Entertaining and Gatherings large and small which can also flow into the Elegant Living Room and Dining Room with Butlers Pantry. There is a Bedroom and Full Bathroom on the First Floor. A three car over-sized garage with side door completes the First Floor. The Second Floor offers a Grand Master Bedroom Suite with Separate Study, Walk-in Closet and Dual Showers in the Master Bathroom. Four Additional Bedrooms, Two Additional Bathrooms, a Second Floor Family Room and an additional room complete the second floor. The Finished Basement is truly spectacular with large open areas, a wet bar and a Movie Theater. The grandeur continues outside with a beautiful back yard, Patio and outside Gas Line for Barbecues. Three Zone Heating and A/C. ceiling Fans in all bedrooms and Family Room. 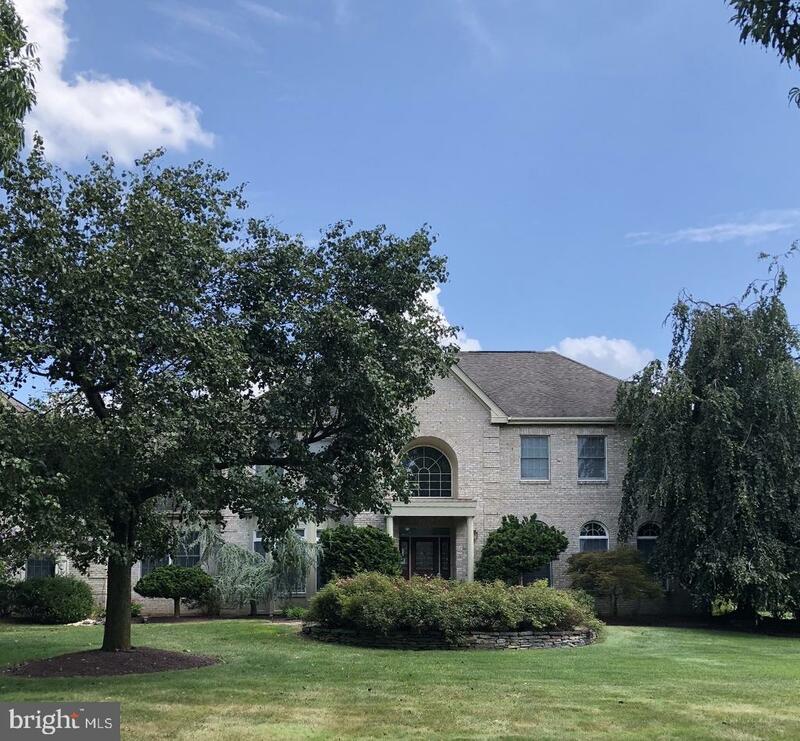 Close to Princeton Jct Train Station, Ball Fields, Mercer County Park, Mercer Oaks Golf Course, Shopping and Entertainment, this 4420 Sq ft home is truly one of a kind!" 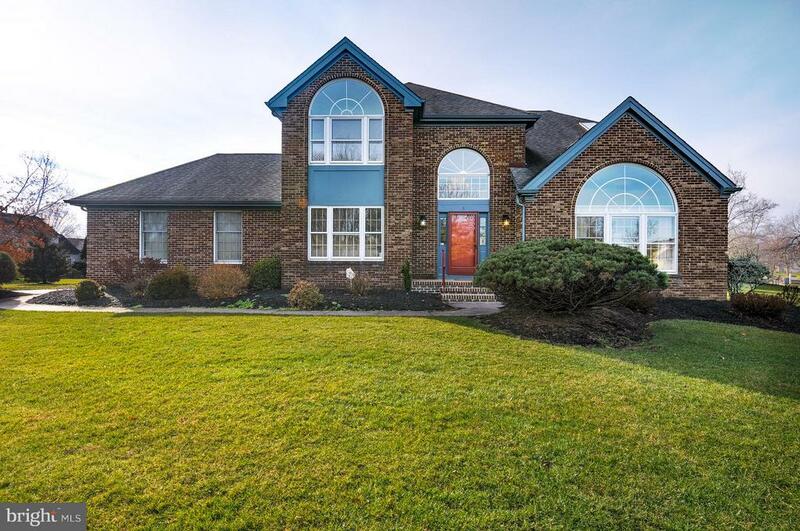 "This beautiful brick-front home located in West Windsor in the desirable Crown Pointe development provides an ambiance of comfort and grandeur. The inviting 2 story cathedral foyer has ample sunlight with a hardwood floor and a circular stairway to the 2nd floor. Beautiful crown molding in the foyer and in both the formal living room and formal dining room. Gourmet kitchen has a large center island, designer tiles, brand new backsplash, recessed ceiling lights, granite countertops, separate butler's pantry, built-in wine rack, and a breakfast nook overlooking the backyard patio. Outdoor two-tier brick patio can be accessed by a sliding door from the kitchen. Adjacent to the kitchen is a spacious FR with hardwood floor, recessed lights, and a gas fireplace. The FR opens to a sunroom with a cathedral ceiling and 4 skylights, wall of windows inviting abundant natural light. Quiet first floor bedroom and a full bathroom can be an au-pair or an in-law suite. The second floor has a luxurious Master bedroom suite, which opens with double doors, has a tray ceiling, and a sitting room. The Master bathroom has a double sinks, a corner Jacuzzi soaking tub, and skylight. Huge walk-in closet equipped with a large mirror. Three additional spacious bedrooms with lots of closet space. This includes a Princess suite with its own full bathroom and a Jack and Jill suite. Full basement is beautifully finished and features a dancing area with hardwood floor and wet bar well suited for entertainment, office space with French doors, recessed ceiling lights, a cedar closet with plenty of storage space, a half bath and more.> The home is surrounded by beautiful professional landscaping and a green lawn maintained with an underground sprinkler system. Not to mention new water boilers (one year old), new roof (5 years old), 3 car garage, security system, convenient location near schools, train station, shopping, major highways, and Cranbury Golf Course, and the great opportunity to attend top"
"GRAND AND SPACIOUS, THIS BRICK FRONT, LIGHT FILLED, OPEN FLOOR PLAN HOME HAS EVERYTHING TODAY'S BUYERS ARE LOOKING FOR! Set on .89 AC of Park-Like setting in the desirable neighborhood of MillBrook, this home welcomes you into the Grand Two Story Foyer with Butterfly Staircase that is flanked by the Formal Dining Room on one side and the Elegant Living Room which is open to the Grand, Extra-Large Conservatory with its own fireplace, walls of windows and sliding doors on the other side. The Conservatory is also open to the Light Filled Family Room with another Full Brick Fireplace, a wall of sliding Glass Doors and welcomes you to the beautifully Redone Kitchen with Granite Counters, Stainless Appliances, Pendant Lights and a large, Light Filled Eat-In Area with yet more Sliding Doors that open to the resort like Back Yard with Trex Deck, Custom Paver Patio and a spectacular In-Ground Pool surrounded by tall shade trees, making it the perfect place for summer parties and family gatherings! There is also a Bedroom with a Full bathroom on the main floor. A laundry room, elegant Powder Bath and attached 3 Car Garage complete the first floor. The Second Floor offers a Grand Master Bedroom with Vaulted Ceilings, Dressing Area, Walk-in Closet, an additional large closet area and a beautifully Updated Master Bathroom with Quartz Counters and Jacuzzi Tub. Three additional, Spacious Bedrooms and a Redone Hall Bathroom complete the Second Floor. The Basement is finished with large multi-use rooms and an even larger Storage area. Close to Princeton Jct Train Station, Shopping and Entertainment. WW-P Schools. A home like this with Soaring Ceilings, Rooms Full of Light, Updated Kitchen and Bathrooms, Finished Basement, Professionally Landscaped Grounds and an In-Ground Pool, is not just Move-In Ready, but Move-In and Have A Party Ready!" "Looking for a move in home? look no further. NORTH EAST EXPOSURE. Come see this spectacular five bedroom, four bathroom home in Windsor Park Estates development. Upgrades galore await you here! Entering a Carnegie model home you will be astounded by the beautiful new kitchen. Kitchen was completely renovated three years ago. European cabinet~s custom built to the ceiling with quartzite counter tops, stainless steel appliances (refrigerator, stove, dishwasher, microwave) recessed lighting, and tile back splash. Dual system a/c and furnace, and a newer hot water heater. Cold winter evenings might find you by the wood burning fireplace in the great room that is surrounded by ceiling to floor with stone encasement. As you enter, the great room with windows all around, you can view the open space that will give you a park like tranquil setting. In addition, you have three skylights here to let the light in. This view can also be seen from the adjoining breakfast area that has a cedar ceiling with additional skylights. Newer neutral carpet throughout. Tastefully decorated home is above today~s standards. First floor bedroom with an adjacent full bathroom is ideal for your family member or an au pair. Spacious living room and dining room that are ideal for entertaining your family at holiday time. Brand new carpet on the basement steps and throughout the full finished basement that is complete with a gorgeous full bathroom. Upper level has four large bedrooms as well as two full bathrooms. Black and white full hall bathroom has marble counter tops. Master bedroom has two extremely large walk in closets ideal for the shopper. Master bathroom upgraded as well with granite counter tops. Fourth upper level bedroom complete with skylights and dormers. Roof is only four years old. Entire exterior was power washed just this week. This home is ready for all buyers. Nothing to do but just move in your furniture and family." 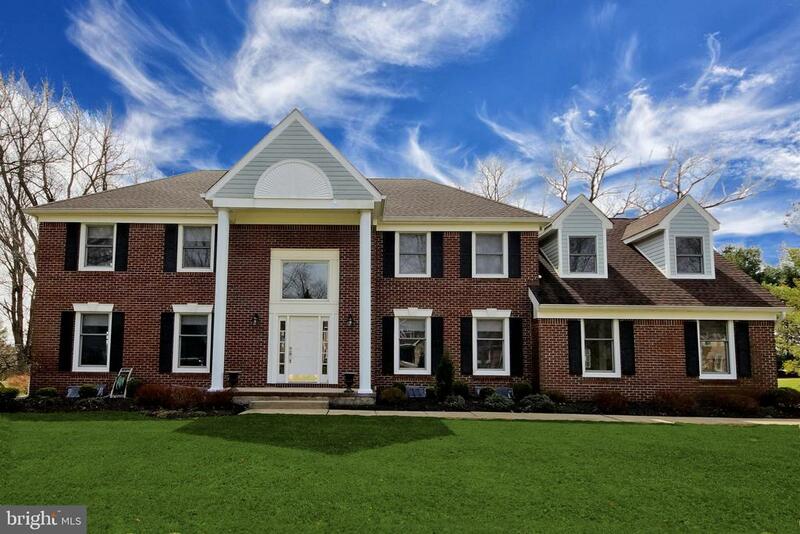 "Majestic brick front home on a prime cul-de-sac location in the desirable Waterford Estates development in Princeton Junction. This exceptional home boasts 5 bedrooms and 3 full baths and is positioned on a .84 acre lot. Lush professional landscaping and a stone paver walkway with bluestone porch lead you into a dramatic 2 story foyer. The well appointed kitchen has granite countertops and backsplash, an updated dishwasher and 6 burner Viking range top. Gleaming solid cherry hardwood floors grace the foyer and elegant formal dining room complete with bay window. The large family room hosts a brick front gas fireplace and plenty of windows. The first floor also offers a spacious living room, an office/bedroom, a full bath and laundry room with updated washer and dryer. The second floor master suite has an elegant tray ceiling and 2 walk-in closets. The lavish master bath has a Jacuzzi tub and 2 spacious vanities. This level also offers 3 generously sized additional bedrooms with plenty of closet space and a beautiful remodeled main hall bath, all with fresh neutral paint. The finished basement boasts a large built-in wet bar, a built-in wine closet, an exercise room and a cedar closet. Large backyard welcomes entertaining with a stone paver patio. 3 car side entry garage has updated doors. This homes amenities also include a water filtration system, 12 zone in ground lawn sprinkler system, security system and elegant stone mailbox. The 2 zone air conditioners, furnaces and hot water heater have all been updated. The roof is in the process of being replaced. This property sits in a top rated school system in close proximity to the train station and various houses of worship. Public water and sewer." 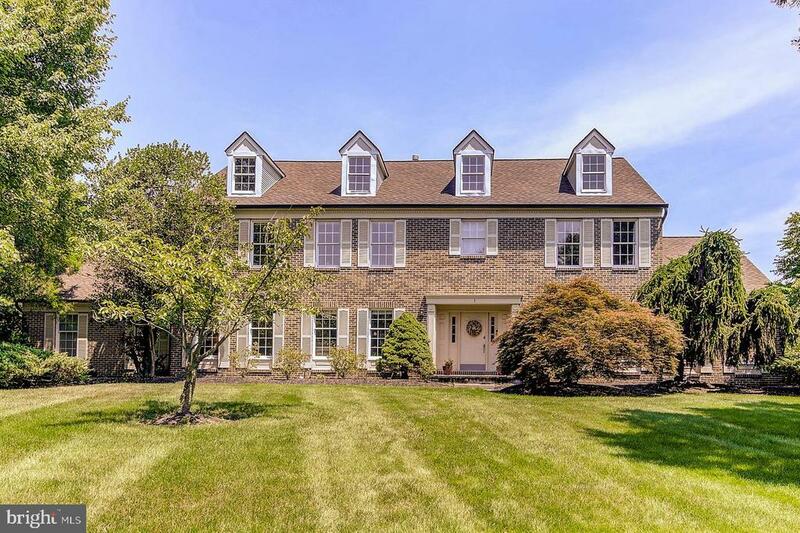 "Situated on a premium lot with outstanding views of the Cranbury Golf Course, this custom designed English Georgetown is built at the back of the 5th hole. This home then became the builder's original Georgetown model. This gracious and distinctive home is enhanced by year-round southern exposure of light and natural beauty, unexpected privacy, and golf course views from every angle. This unique Princeton Oaks model is quintessentially bright and inviting with impeccable hardwood flooring throughout. Placed between two adjoing cul-de-sacs, 19 Taunton enjoys easy accessibility to the neighborhood park, playground & tennis courts. The perfect place to entertain a crowd or an intimate group or retreat to the sunken sun-drenched Conservatory complete with floor-to-ceiling windows, skylights, wooden blinds, ceiling fan, recessed lighting and more! The main level of this home is enhanced with a gracious flow from the light-filled foyer & kitchen/breakfast room that adjoin the family room that has the ambience of large windows, vaulted ceiling, gas fireplace, hand milled mantle and French doors leading to the bluestone patio, rear yard and golf course. The distinctive & expanded office/study provides views of the rear yard & golf course but still offers privacy, if desired. It is graced with wooden blinds, floor-to-ceiling windows, built-in bookcases and cabinets. The spacious & inviting dining room boasts custom wainscoting & moldings opening to the Butler's Pantry that is complete wainscoting, granite counter, glass fronted upper cabinets. Experience the joy of cooking in this fully equipped chef's kitchen with granite counters, newer upscale appliances, and an over-sized granite topped center island. There is a gas line that the builder installed under the center island cook top. The Breakfast Room with crown moldings & 6 baseboards offers a golf course view from the bay window that overlooks the rear yard and blue stone patio. The tasteful powder room with marble "
"Spectacular 5 bedroom, 3.5 bathrooms Toll Brothers home in one of the best cul-de-sac locations the Princeton Chase in West Windsor! This picture perfect home is gorgeous inside and out! An exceptional property. Maple hardwood floors sparkle throughout the 1st and 2nd levels. A sensational gourmet Chef's kitchen boasts maple cabinetry, two tiered center work/dining island, stainless under-mount sink, granite countertop and backsplash, Thermodore stove, a stainless exhaust hood, Sub-Zero fridge, warming drawer, pendant and low voltage lights, butler's pantry with stainless counter, wine cooler & rack, media center, skylights and breakfast area. Family room has custom-built entertainment center, woodburning fireplace with granite surround & maple mantle, built-in speakers and it opens to a formal living room creating a fabulous spade for your everyday living and entertaining. A full window sunroom, office/guest suite with built-ins, a true Murphy bed!, full bath & mud room, and guest bath finish this level. 2nd level features an elegant master suite with a gorgeous master bath remodeled with Travertine marble stones throughout floor to ceiling, standalone tub, stone shower and etched glass toilet enclosure. There is a beautifully remodeled hallway bath and 3 more bedrooms. A finished basement, finished garage and many more upgrades complete this home. The park-like backyard is fenced in and boasts an in-ground swimming pool with electric cover for convenience and summer fun. Community has tennis courts. 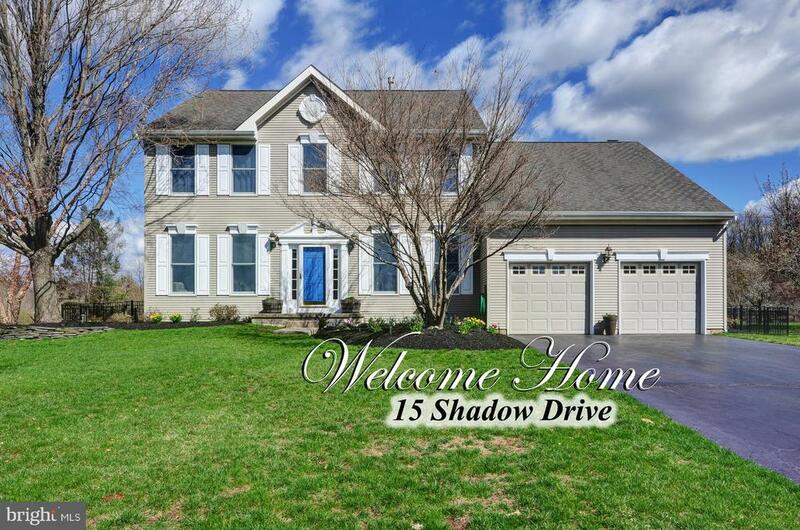 Close to trains to New York and Philadelphia, top-rated West Windsor schools, shopping, entertainment, downtown Princeton, Mercer County park and more! A must see. Move in and enjoy all the amenities and convenience this home has to offer." "COMPLETELY REMODELED, THIS HOME IS TOTALLY MOVE-IN READY. Beautiful Landscaping leads you to the Grand Two Story Foyer, flanked by the elegant Living and Dining Rooms, all with Gleaming Hardwood Floors. Wide Graceful Arches lead to the STUNNINGLY REMODELED CHEF'S KITCHEN with New Custom Kitchen Cabinets, Stainless Steel Appliances, Granite and Quartz counters, Built-in shelves, Under-Cabinet & Recessed Lighting and an Extra Large Center Island that is perfect for family gatherings and entertaining. Proceed to the Light Filled Family Room with Upgraded Fireplace with Marble Surround, Large Bay Window and A Custom Wet Bar with All the bells And Whistles. Adjoining it is the Expansive Conservatory with walls of windows overlooking the manicured Landscaping. A Remodeled Powder Bathroom, Custom Built Mud Room with Bench & Cubbies and A 3 Car Garage complete the First Floor. The Second Floor offers a GRAND MASTER BEDROOM SUITE with Walk-in Closet with Organizers and a COMPLETELY REMODELED MASTER BATHROOM with Frame-less Shower, Free Standing Tub with light pouring in from the Skylight in the Vaulted Ceiling. Three additional large Bedrooms and a REMODELED HALL BATH Complete the Second Floor. All major Systems, including Roof have also been replaced. Highly Rated WW-P Schools, Close to Train Station and all major roads, shopping and Dining and Entertainment. THIS IS A TRULY SPECTACULAR, MOVE-IN READY HOME IN EVERY WAY!" 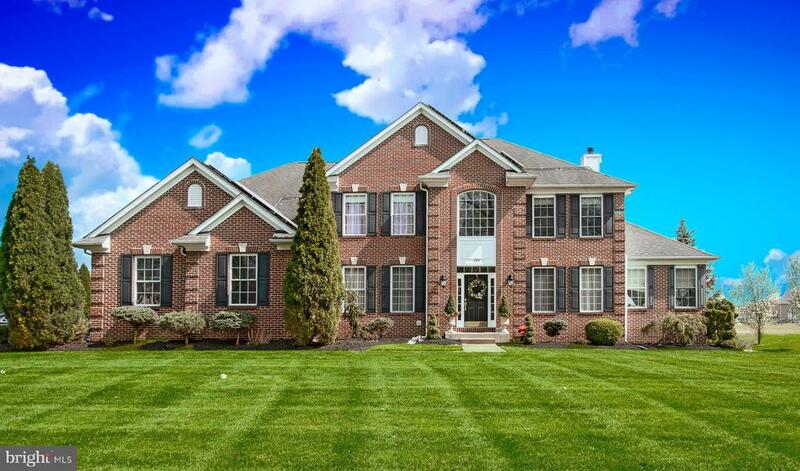 "GRAND AND SPACIOUS, THIS BRICK FRONT, LIGHT FILLED, OPEN FLOOR PLAN HOME IS MOVE-IN READY! Meticulously maintained by the original owners who worked with the builder to custom create additional usable spaces this home is both elegant and comfortable. The Grand Two Story Foyer with sweeping staircase welcomes you to the Elegant Dining Room and leads you to the Stunning COMPLETELY REDONE KITCHEN with Custom Maple Cabinets, Stainless Appliances including a Viking Six Burner professional range, Viking Double Oven, Sub-Zero Fridge and Granite Counters including a custom Granite Breakfast Table. The kitchen is open to the enlarged, soaring two story Family Room with full brick fireplace and skylights. Step outside to the custom Trex Deck that runs the width of the house and overlooks the private tree lined backyard, making it the perfect place for entertaining and family gatherings. There is an additional room off the kitchen that can be used any way you choose. An additional First Floor Office, spacious Laundry room and attached two car garage complete the First Floor. The Second Floor offers a Grand Master Bedroom with Vaulted Ceilings, Separate Sitting Area and a Spa-Like Master Bathroom with a Jacuzzi, double sinks with Quartz Counter tops and a walk-in shower. Three additional Spacious Bedrooms and a beautifully Redone Hall bathroom with double sinks and Quartz Counter-tops completes the Second Floor. There is also a very Large Basement that can be finished in any way the new owners desire. Newer Roof (2013), Newer Hot Water Heater, Two Zone Heat & A/C, New Carpeting & Freshly Painted. Centrally located and close to Princeton Jct. Train Station, Major Highways, Shopping, Entertainment & Recreation Highly Rated WW-P Schools." "Beautiful Carrington model nestled in a cul de sac in desirable Windsor Park Estates. This impressive five bedroom three and a half bath home offers the desirable first level bedroom with a full bath! 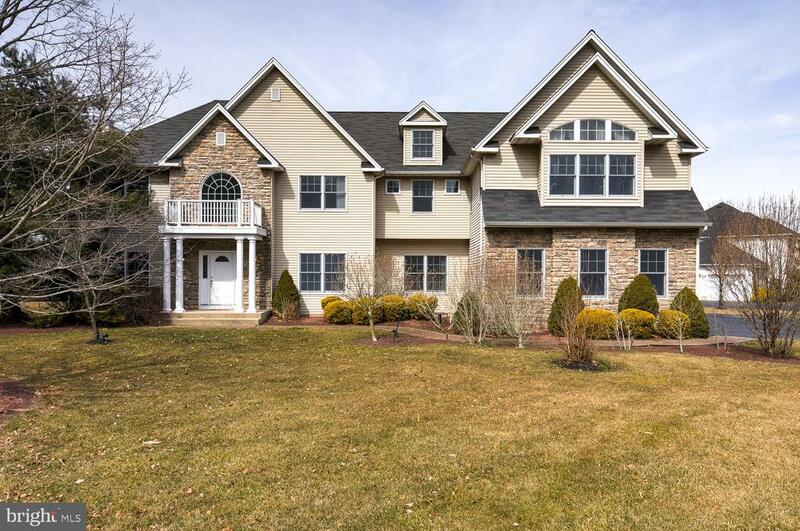 Beginning with the two story welcoming foyer, this center entrance colonial home features a formal living and dining room. The ultra-chef~s kitchen has upgraded cabinets, granite counter tops, center island and ceramic tile flooring. The light filled family room is convenient to the kitchen dinette area and has a gas fireplace. There is also a powder room on the first level and a convenient second stairway leading to the four bedrooms upstairs. The master bedroom suite features a tray ceiling, two custom California closets, an ultra-modern private bathroom with a Jacuzzi tub and double sinks. Also on the second level there is a convenient laundry room with a deep sink. The basement is beautifully finished with custom built-ins, entertainment areas and an exercise room. The rear yard is conveniently accessible from the kitchen dinette area and has a custom two tier brick patio and professional landscaping. Besides the two car attached garage there is a third car detached garage. This home is convenient to major highways, shopping and the train! Blue Ribbon Schools." 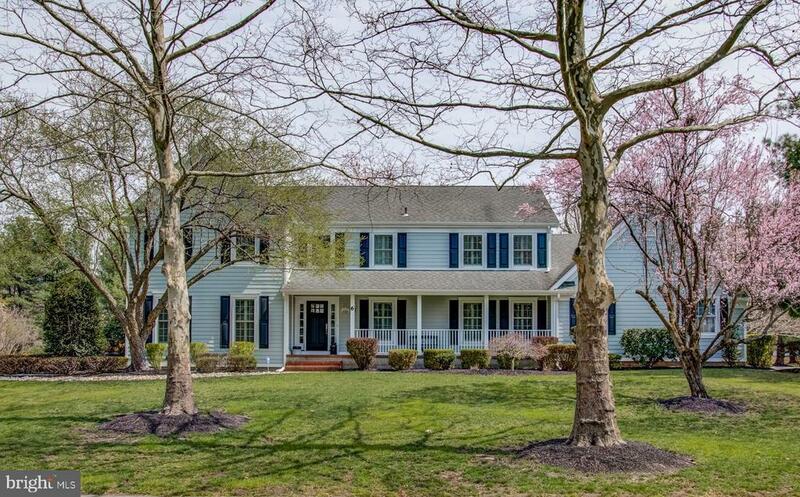 "Professionally designed, meticulously maintained landscaping and paver walkway welcome you to this classic colonial in desirable Princeton Oaks. This renovated 3446 sq ft home has hardwood floors throughout. Sun drenched formal living room flows continuously into the family room. Beautifully renovated kitchen with large diamond-shaped tile floor is illuminated by lots of recessed lights.Range hood vents out. Open eat-in kitchen overlooks the spacious family room with cozy brick fireplace and new Anderson sliding doors that open to rear wood deck. A first floor study/bedroom is tucked away on the quiet side of the house. Sun room has a gas fireplace and full view of the backyard with a handsome paver patio, built-in BBQ gas grill, and fire pit. Master bedroom suite has two walk-in closets, ceiling fan/light, a sitting area/loft, and renovated master bathroom. Hall Bathroom is also renovated. Three additional bedrooms of generous size complete the second level. French door leads to a fabulous finished basement with a sophisticated wet bar, a home theater and a full bathroom. Two zone heating. Home has newer windows, gutter guards, new furnace/AC, newer roof. Exterior of home has recently been painted. Move right in!~"
"Beautifully appointed with the highest quality craftmanship and materials, this PRISTINE home has been renovated and upgraded throughout and no detail has been spared in every area (OVER $300,000 in improvements) Welcome into the gracious foyer of this warm and inviting center hall colonial which has a spacious formal living and dining rooms for your entertaining. The GOURMET KITCHEN is a chef's delight and it has been renovated by Byrne Brothers with new cabinetry, new tiled flooring, quartz counters,new high end appliances & fixtures and it opens to the inviting family room with wood-burning fireplace and built-in cabinetry. A four panel French door connects the family room to a cozy and bright ENCLOSED PORCH which provides a quiet oasis for your relaxation as well as a beautiful room to entertain family and guests. The laundry room is very spacious with a large walk-in pantry, guest closet and an access door to the back yard. The upper level offers a master bedroom suite with TWO SEPARATE and remodeled bathrooms and two walk-in closets. There are 3 additional bedrooms with ample closet space and a main bath which has also been renovated. There is a full basement and a 2 car attached garage plus a custom Azek deck off the enclosed porch. This home has new Pella windows, New A/C and newer Furnace, a full house generator, new front door and garage doors, newer roof, new driveway and many more features and upgrades (separate special feature & upgrades list available) The Princeton Oaks community offers tennis courts, tot lots, walking paths throughout and located near schools, train, parks, shops, restaurants and only a few minutes from downtown Princeton. This is truly a magnificent home with so much to offer and a place you will be truly proud to call home. A must see!!!" "PRIME LOCATION IN WEST WINDSOR BACKING To OPEN SPACE. NO ONE CAN BUILD BEHIND YOU. Wrought iron fencing all around. WELCOME to this METICULOUSLY KEPT HOME! Arrive to the 2 story foyer with hardwood flooring. The office is to the right and living dining room to the left. The view from the dining room kitchen and family room is BREATHTAKING. Enjoy the view of fenced in backyard with all grass then comes the woods of West Windsor OPEN SPACE. You will enjoy nature and the serenity it brings. Inside the kitchen has stainless steel appliances and granite countertops with White cabinetry.. A granite island will come in handy when serving your guests. The kitchen flows to the family room with 2 skylights and soaring cathedral ceiling! You will enjoy the morning sun streaming through the skylights. The fireplace is an added treat on those cold winter nights. The 4 upstairs bedrooms are ample size. The master has walk in closets and large master bath with jacuzzi , double sink vanity, shower stall and private commode. The other bedrooms are large and one has a very large walk in closet. The FINISHED basement is truly a treat. Enjoy your media rooms and play room with double closet for games, dvds etc. But the best is the hobby/craft room with a full kitchen ( no stove). Lovely cabinetry with full sink and countertops enabled your family to do crafts or entertain guests in the finished basement. This truly is a FUN ROOM The other area is for storage. The poured concrete foundation make this a very desirable home. The best is yet to come outside on the Trek Deck and wrought iron fencing. Enjoy your family barbecues over looking this beautiful natural setting, Imagine yourself enjoying a cup of coffee looking at the woods of West Windsor. You do nothing but enjoy Nature. Come and see all the upgrades too. You will be very impressed. Lovely home and PERFECT LOCATION. 2 MILES TO THE PRINCETON JCT TRAIN. Nationally acclaimed West Windsor S"
"Welcome to 29 Brians Circle! 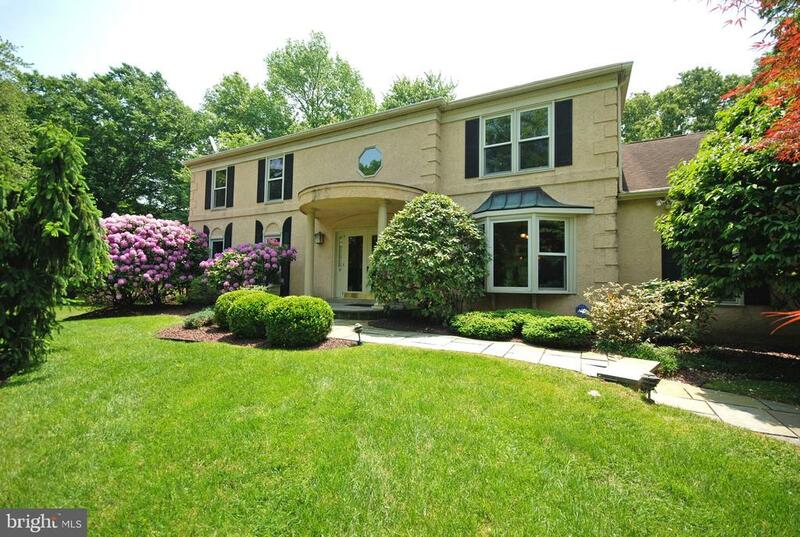 This Stunning Colonial is Nestled on a Wooded Cul-De-Sac in the Desirable Stony Brook Community. Beautifully Maintained and Updated this Wonderful Home Features: A Welcoming Front Porch Entrance; Gleaming Hardwood Floors; Two Story Reception Foyer; Elegant Formal Living Room and Dining Room; Gourmet Kitchen with Upgraded Cabinetry, Granite Countertops, Center Island, Stainless Steel Appliances and a Delightful, Sunny Breakfast Area; Huge Family Room with Cozy Fireplace; a Private Study; a Luxurious Main Floor Master Bedroom with En-Suite Bathroom; and a Convenient Powder Room and Laundry Room. Upstairs boasts Three More Well-Appointed Bedrooms and a Full Hallway Bathroom. A Fabulous Finished Basement with Full Bath has areas for Media, Recreation, Exercise and Play. Step Outside onto the Spectacular Deck and Relax or Entertain overlooking the Idyllic Backyard with views of the Private Wooded Area and Preserved Land. Minutes from Princeton Junction Train Station, Major Highways, Schools, Shopping, Restaurants and Downtown Princeton." "BEAUTIFULLY AND TASTEFULLY REMODELED, THIS NE FACING, FORMER BUILDERS MODEL AND MOVE-IN READY HOME SETS A NEW STANDARD FOR ELEGANCE! Set in desirable Le Parc II, this home offers an easy flowing, open floor plan with 5 BEDROOMS, 2.5 COMPLETELY REDONE BATHROOMS AND A BEAUTIFULLY UPDATED KITCHEN. The Grand Entry Foyer with curved staircase, large picture windows, volume ceilings and hardwood floors seamlessly leads you the elegant Living Room and Dining Room on one side and a spacious Office or 5th Bedroom on the other side. Proceed to the Beautifully UPDATED SPACIOUS EAT-IN KITCHEN with granite counters, newer appliances, tile floors, recessed lighting and cabinets galore. The Kitchen is open to the light filled Family Room with fireplace, hardwood floors and patio doors that open to the Custom Patio surrounded by beautiful landscaping. A REDONE POWDER BATHROOM, updated Laundry Room with custom closets and attached two car garage compete the First Floor. The Second Floor offers an elegant Master Bedroom with a STUNNING, COMPLETELY REDONE MASTER BATHROOM, 3 additional spacious bedrooms and a COMPLETELY REDONE HALL BATHROOM. Home also has a full basement that can be finished in any way the new owner desire. Directly across the home are the park-like Association Grounds with in-ground pool, Tennis Courts and children's playground. Close to Princeton Jct Train Station, Shopping and Entertainment. Children attend Highly Rated WW-P Schools." 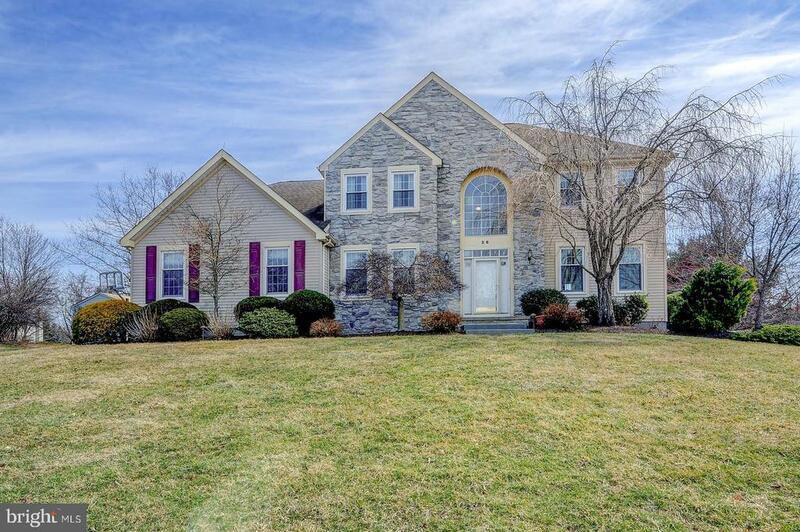 "Gracious brick front colonial in Windsor Hunt has two story foyer flanked by a spacious formal living room and entertainment size dining room. Gourmet kitchen has ample oak cabinetry and granite countertops, huge center island and is illuminated by lots of recessed lights. Breakfast area has French doors opening to a large wood deck with pergola. Family room has a brick fireplace, bay windows and a skylight. French doors open to a study with built-in bookcase. Remodeled powder room. Master bedroom has a walk-in closet and a sitting room; Master bathroom has cathedral ceiling, skylight, remodeled shower stall, and jetted bathtub. Jack and Jill suite comprises a bedroom/bonus room and a full bath. The delightful bonus room has 3 skylights and has become the family's favorite room with abundant natural light. It's an exercise room, an art studio, a study, a yoga room. Hardwood floors on first level as well as second level. Partially finished basement. Fenced-in backyard provides privacy and room for sports. Solar panels provides $150 of saving per month on electricity. Award winning West Windsor Plainsboro School District." 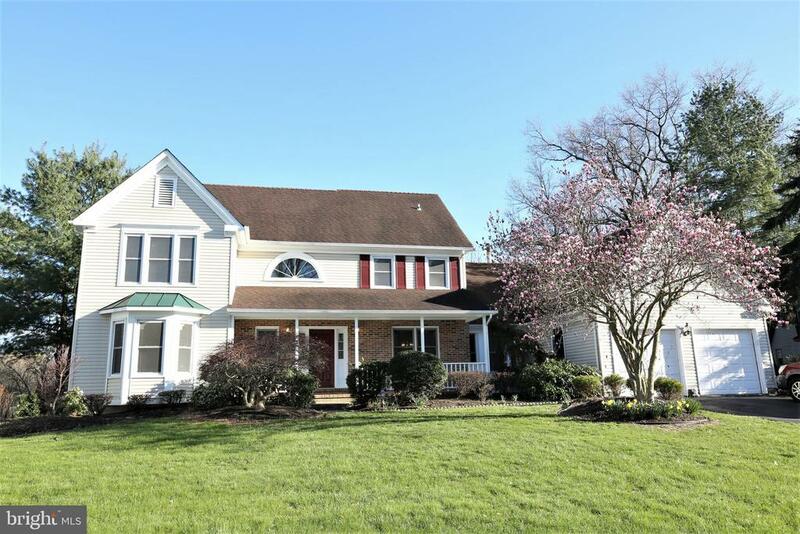 "ELEGANT and richly appointed impressive 5 bedroom 3.5 bath colonial in the highly desirable West Windsor school system. Beautiful landscaped property with eye catching curb appeal leads to a magnificent leaded glass front door. The soaring 2 story foyer with hardwood floors offers a convenient 1/2 bath and is flanked by a regal dining room and formal living room which is open to the warm and inviting family room. The family room showcases a custom wood built in entertainment center which surrounds a wood burning fireplace encased with granite. Hardwood floors are abundant in this house. The gourmet kitchen with 42 inch cabinetry has granite counter, tile backsplash, tile floors and is flooded with lots of natural light, The kitchen leads onto the paver patio and wonderful backyard with cherry and peach fruit trees. The 5th bedroom with it's own full bath is tucked down the hall from the kitchen. Head on upstairs to the master bedroom retreat with tray ceiling, 2 walk in closets and a luxurious bathroom. 3 additional ample sized guest bedrooms share a 2 part bathroom where you will be delighted by the designer mosaic tile, granite topped vanity offering 2 sinks. The full basement is just waiting for finishing. Windows are newer as are the air conditioning and furnace. Convenient to the Princeton Junction train station making commuting to NYC & Philadelphia easy." "Welcome home to this stately brick front Bordeaux model set in a cul du sac location in the prestigious Le Parc 11 collection. Enter the double front doors to the sunny 2 story foyer with ceramic tile flooring, Palladium window and hardwood staircase. The dining room and french doored living room flank the foyer. This lovely, well maintained home offers many outstanding features including Custom Brazilian Cherry hardwood flooring throughout first and second levels plus Deck and Gazebo that grace the landscaped backyard. Gourmet Kitchen with Center Island, Stainless Steel Appliances Package, Granite Counter tops, Breakfast room with wall of windows and sliding door to wood deck and private yard. Spend time and relax in the family room with woodburning fireplace and rear staircase with brand new neutral carpet to second level. Convenient laundry room and half bath complete the first level. The master suite with master bedroom, ample closet storage, refreshed master bath with dual vanities, custom tile shower and soaking tub. Three additional well sized bedrooms and full bath complete this level. The finished basement is great for play, parties and all your recreation needs. 4 Bedrooms, 2.5 baths, and full finished basement, 2 car side garage, Irrigation System and beautifully landscaped grounds. One-year Home Warranty included too!Community amenities include Salt Water Pool, Gym, Tennis and Tot Lots. Highly acclaimed West Windsor Plainsboro Schools. Minutes to Princeton Junction train station, downtown Princeton major roadways and shopping."